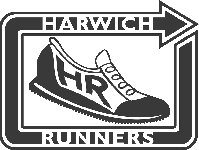 Harwich Runners Forum / Triathlon Bikes, Wet Suits and other gear. » Triathlon Bikes, Wet Suits and other gear. Triathlon Bikes, Wet Suits and other gear. With the triathlon season nearing its start and with several members looking to make their debut this summer I have had several people make enquires about how best to obtain equipment. Additionally, I know of people who may wish to sell surplus equipment as they have upgraded or no longer have a use for it. If anyone has a cycle, wetsuit or other item of gear to sell on let me know and I will start a list. Better, if you can produce an A4 sheet with details of your item with a photo included. I will start a folder to hopfully match buyers with sellers.